In this second novel of the series, Klawde and Raj explore the delicate relationships of childhood friendship. As Raj begins his first day at a new school, he is worried about making friends. 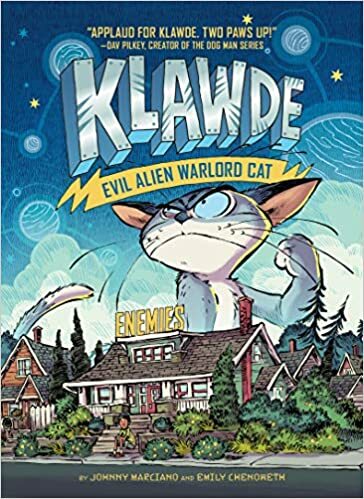 When both Klawde and Raj acclimate to their new environment, they get a surprise visit from someone from their past. Will Klawde and Raj be able to overcome their differences and become allies with the people from their past? I thought this novel was enjoyable like the first one. It had the same amount of humor and illustrations. I like that even though Klawde and Raj were going through something similar, they both had different outcomes and ways of coping. I hope there are more books to the series as I am looking forward to their friendship continue to grow. Klawde had it all. He was the High Commander of his planet, he had sharp claws and fine fur, along with loyal followers. However, all that changes when he was betrayed and sentenced to the worst punishment possible. He was exiled to a small planet named Earth. Raj had everything he wanted. He lived in a cool apartment in Brooklyn and his friends lived in the same building. All of his favorite stores were in walking distance. Then his mom gets a new job in Elba, Oregon and then he is forced to move. Then the summer begins and Raj has no friends. His mother encourages him to join a nature camp to find new friends. I thought the book was a fun read. 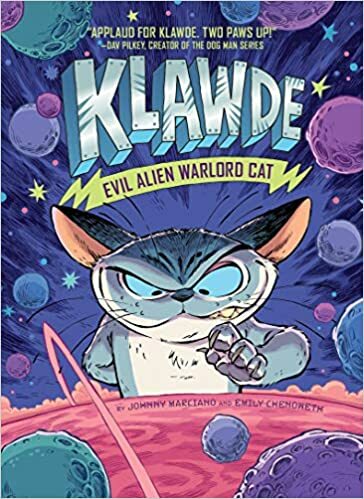 I enjoyed that the book switched back and forth between Raj and Klawde. The dialogue between Klawde and Raj was witty and funny. It was funny seeing everyday human interactions and things from a different perspective. I thought the illustrations were a nice added treat. Overall, a fun and interesting read especially for fans with feline companions. Regina "Gin" Hartson loves computer modeling and trusts logic completely. She even created several programs to help her decide what to eat, how to dress and spend her time. Gin is completely focused on spending her time as efficiently as possible so, she can get into Harvard. Except when she meets her new coding partner, Felix, everything changes. She no longer relies on programs to her make everyday decisions. She rather makes decisions on how she feels. When she and Felix begins working on a modeling assignment, she notices anomalies in the behavior of crows. 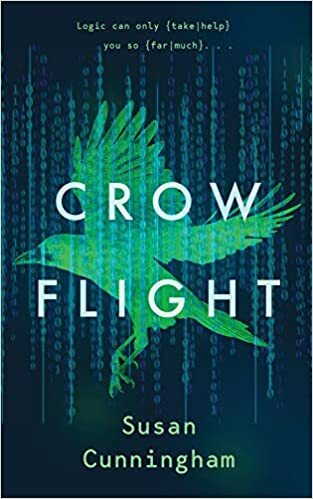 As she digs deeper into the data behind the crows' behavior, she discovers a secret that might jeopardize her relationship with Felix. Can Gin trust her logic is correct about the crows? I enjoyed that Gin was top of her league modeler and that she work hard to get what she wanted. The young adult novel had the basic elements of a good novel, interesting characters, a love triangle, the unattainable rich love interest, and a secret. While, I did enjoy reading the book, I found that the book was a bit slow for my liking. I kept holding on for a big jaw dropping secret but, instead I found the secret to be predictable. However, if you like cozy young adult novels than this would be the perfect book for you. There was one part of the novel that I didn't quite get and thought it was a bit unrealistic. That one character pulled away and just disappeared. Then the other character kind of just accepted that and was able to move forward. Perhaps, me being the drama queen that I am, I would have definitely caused a bigger fuss than that character did. Overall, a pleasant cozy young adult novel that ties up all loose ends. Melody Johansson tries to find the positive in every situation. However, seven years after she moved to Denver, she feels like she is stuck in a rut. She is a classically trained baker and pastry chef but, she is currently working in a mediocre chain bakery. Her love life has stalled after a string of disastrous relationships. When the handsome and charming pilot Justin Keller knocks on her door during a snowstorm, Melody finally feels her luck might be changing. Justin is impressed by Melody and her positivity. However, the last thing he wants is a relationship after his own romantic failures. He feels his job is demanding and stressful to have meaningful relationships and connections. Plus, he plans on moving across the country to Florida with his sister and brother-in-law. Justin and Melody against better judgment decide to give their budding relationship a try. They find themselves bonding over their career choices and shared love of adventure. 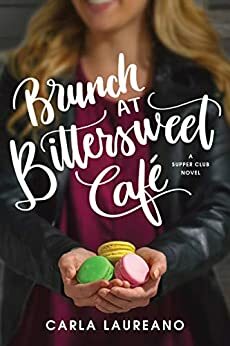 When Melody suddenly comes into a windfall she realizes she can finally live out her dream of opening her own bakery-cafe with her best friend. However, she finds herself stuck with an impossible choice. Should she give up her dreams of owning her own store or give up her chance at love? This was the second novel in "The Saturday Night Supper Club" series but, I found each novel could be read as standalone. This novel focuses on Melody and her journey to accomplish her dreams and finding love. I enjoyed Melody and Justin's search to balance their love life and dreams but, found it to be a bit slow in some parts. Overall, a solid second novel to the series. 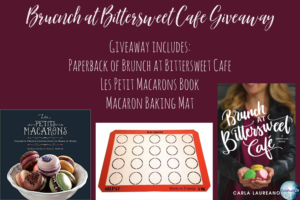 To celebrate her tour, Carla is giving away a grand prize package of a macron baking mat, a macron book, and a paperback copy of Brunch at Bittersweet Café!! The clear lip balm is enriched with aloe leaf and vitamin E to leave lips soft and supple. The lip balm has scents of green tea, jasmine, apple, rose, mandarin, and forest greens. I found the scent to be very pleasant and tantalizing. I like that they redesigned the lip balm container as the old ones were very difficult to open. I can't wait to try the other flavors from the line. Ah, I love facial sheet masks! However, I usually get the $1-4 ones and on special occasions, I splurge and get the more expensive ones. Boy, am I excited I took the chance and splurged with this facial mask! The Tencel sheet mask is enriched with honey, mulberry, and chocolate. The ingredients read like a smoothie ingredient list and my skin loved this mask. It left my skin so soft, moisturized and radiant. I got so many compliments the next day after using this mask before going to bed. Definitely one of my favorite masks over the ones I normally use. After getting such great results with this mask, I am going to try other masks from this company as I can't rave enough about this mask. The triple milled soap comes in a bold colorblocked with gold trimming packaging. Underneath the colorful packaging is block of delicately scented soap. The soap has scents of rose nilk and frankincense. The soap did provide a generous lather and left my skin delicately scented. I usually like floral scents but, I wasn't crazy over the scent. It was hard to place it words it felt, like a mish-mash of scents. The small town of Swine Hill is filled with ghosts. The ghosts have taken over the abandoned downtown area and haunt places that they have unresolved dealings with. Some ghosts have been known to hurt people and sometimes, even change them. In Swine Hill, there are more dead things than living. Jane has been haunted since she was a child. Her ghost feeds on the secrets and fears of people around her. She loves to share her findings with Jane, even if Jane doesn't want to know. Jane's brother, Henry, is also plagued by a ghost. His ghost takes over and causes him to build strange and dangerous machines. Her mother is possessed by a lonely spirit who craves attention and burns anyone who she touches. When newcomers start obtaining coveted jobs at the pork processing plant, both the living and dead are upset. They are worried about their future and where they would go. Jane and her family have loyalties to both sides and try to survive when things start getting violent. Will Jane and her family be able to escape Swine Hill? I found the book to be an interesting read. It definitely had a different plot that I would have expected or used too. I found each character to be well developed and interesting. However, I found it annoying that some characters knew how to get rid of ghosts but, didn't really make the attempt to do so until things went downhill. For example, Jane was trying to make her friend's life better but, yet she continued to let her mother suffer from her ghost. Overall, the novel was an interesting read from books I normally read. 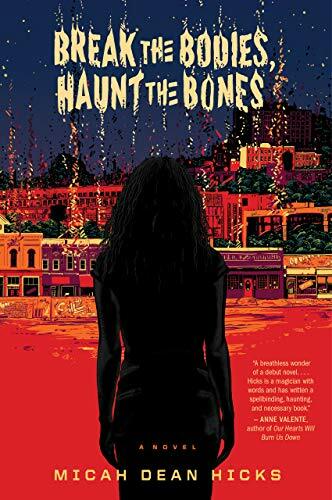 3 Winners will receive a Copy of BREAK THE BODIES, HAUNT THE BONES by Micah Dean Hicks. Ella Brook knows that she has to wait to become a fairy like her mother. She can't wait to be a fairy to have her own sparkly wings and Computawand. Ella and her mother are put through four different situations where the help of magic would be helpful. However, will Ella learn she doesn't need magic to save the day? I like the book was split up into four small short stories that can be read in a few minutes. 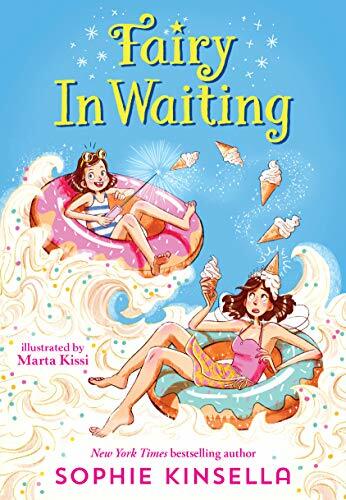 The book has a lot of laughs out loud moments when Ella's mom tries to use magic but, makes the situation worse. I found this book to be a great bonding experience when reading together. I liked that the book also included activities in the end that can be done together.